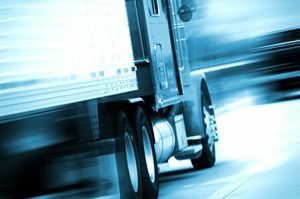 Truck Accidents Category Archives — Massachusetts Injury Lawyer Blog Published by Boston, Massachusetts Injury Attorneys — Breakstone, White & Gluck, P.C. A Framingham motorist tragically lost her life yesterday when she slowed to avoid an unsecured mattress which flew off a truck on Rte. 128 in Burlington, Mass. Authorities believe the mattress broke free from a dump truck with a white cab occupied by two men. As the car slowed to avoid the mattress on the highway, a second car hit it causing fatal injuries. The truck operator did not stop at the scene or identify himself afterward. The victim had slowed her car, a Toyota Corolla sedan, and tried to avoid hitting the mattress. She was struck from behind by a Toyota Tundra pick-up truck. The Toyota Tundra pick-up truck driver suffered minor injuries. 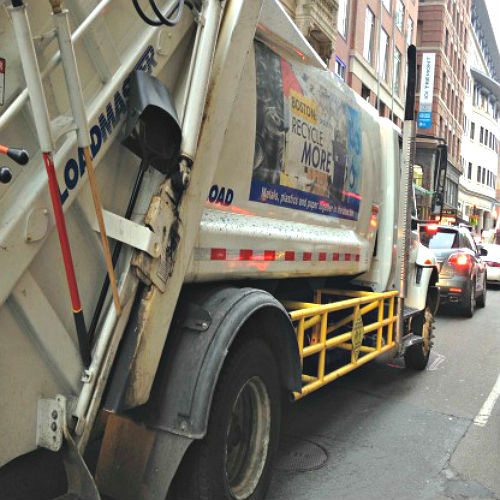 Police are looking for the driver of the dump truck, which left the scene. Unfortunately, this was not an isolated case. 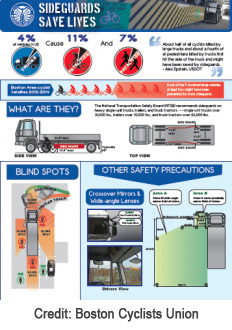 According to the AAA Foundation for Traffic Safety, there are approximately 25,000 crashes a year in North America related to unsecured loads, resulting in approximately 80-90 deaths. 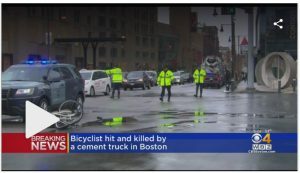 Here in Massachusetts, a 27-year-old Lynn man was killed in a similar accident in September 2011, when a 400-pound tire being hauled by a truck broke loose on Interstate 93 in Somerville. 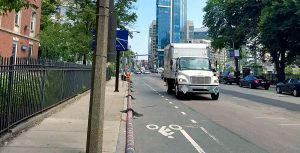 Drivers have a responsibility to secure loads and operate safely, whether they are commercial or non-commercial drivers. All 50 states and the District of Columbia have statutes pertaining to unsecured loads and fines, which range from $10 to $5,000, according to the Government Accountability Office (GAO). In 15 states, violations carry the possibility of imprisonment. 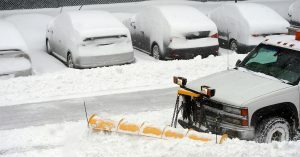 Drivers may also face civil lawsuits to compensate the injured and their family. 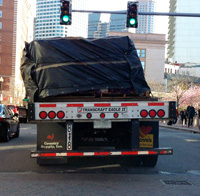 This may be the third serious truck-related accident in Massachusetts this week. On Sunday, a pedestrian in Uxbridge was struck and killed by an unknown driver. 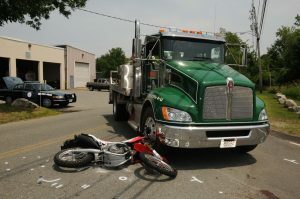 The driver of a tractor-trailer truck, who is employed by Gorham Transport, later contacted police and said he was in the area. Police are investigating. On Monday morning, a tractor-trailer carrying 11,000 gallons of gasoline overturned in Fall River, engulfing in fire and requiring some to be evacuated. The driver was treated for non-life threatening injuries and the crash is still being investigated.